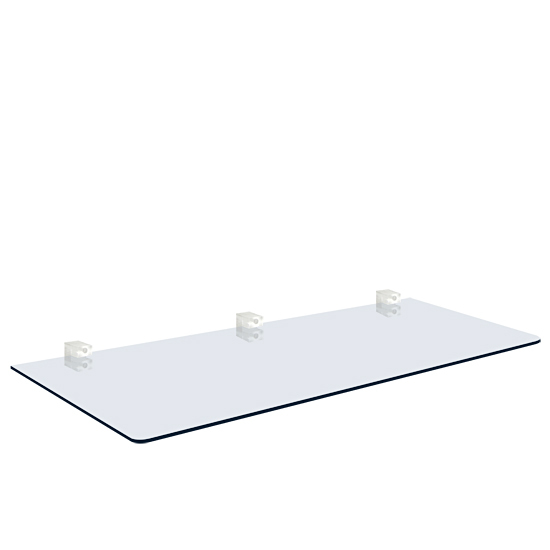 Glass shelf attaches to the wall using transparent acrylic shelf supports. 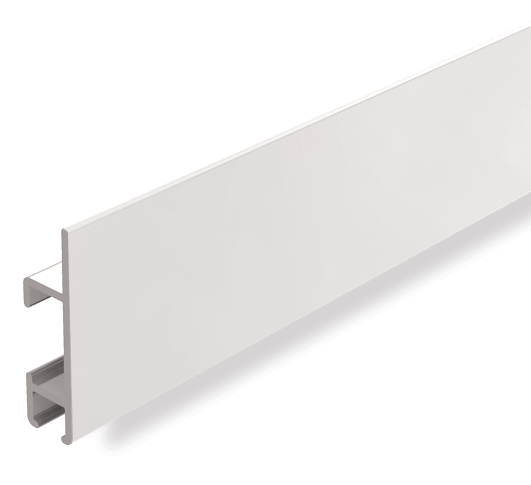 The supports screw directly into the wall using a standard wall screw. The glass is then placed into the supports and bolts on their underside are tightened.